While many assumed that young Janhvi Kapoor will take time to overcome the grief of her mother Sridevi's sudden demise, she stunned all by returning to the sets of Dhadak within a few weeks. Dhadak actor Janhvi Kapoor revealed Sridevi’s tip to her for being a good actor. Janhvi Kapoor’s debut film Dhadak is all set to hit the silver screen. While the world awaits to see if Sridevi’s offspring is capable of taking forward her legacy, the young star is on her toes to promote her first Bollywood film. More than anyone else, it was late actor Sridevi who was excited about her daughter’s first step in the world of cinema. 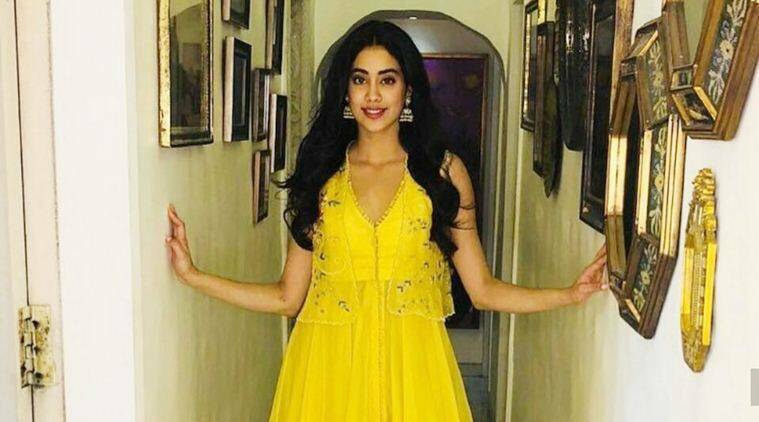 While many assumed that young Janhvi will take time to overcome the grief of her mother’s sudden demise, she stunned all by returning to the sets of Dhadak within a few weeks. Talking about coping with the death of Sridevi, Janhvi said the shoot of Dhadak gave her courage. “It hasn’t been an easy experience. My work and my family have given me the strength to go on. If it wasn’t for coming back to the sets of Dhadak or being able to act, I think it would have been much tougher than what it is now. I am very thankful that I had the opportunity to work in the film and act. It saved me in many ways,” Janhvi told India Today. At the trailer launch of Dhadak, Janhvi had the entire Kapoor clan including Anil Kapoor, Boney Kapoor, Shanaya Kapoor, Sanjay Kapoor, Harshvardhan Kapoor and others cheering for her. In the interview, Janhvi also revealed Sridevi’s tip to her for being a good actor. She said, “My mom always used to say that in order to be a good actor, you need to be a good person. Because the camera is very smart. If you’re not a good person, if you’re fake, it shows. If your heart is not clean, it is visible.” With on-set photos of Janhvi already out, many have also found her to be a mirror image of Sridevi. Directed by Shashank Khaitan, Dhadak will see Ishan Khatter sharing screen space with Janhvi. The romantic drama, which is a remake of Marathi blockbuster Sairat, will release on July 20 this year. 2 Akshay Kumar to play warrior king Prithviraj Chauhan?